Results: 1 to 10 of a total of 138 results. 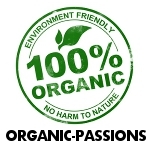 My entire house is organic and not just foods... but cleaning and body products too. I've even found organic paints and am totally environmentally conscience when it comes to my home remodel. Out of the house, I'm closer to a vegetarian due to not wanting to eat hormones/antibiotics, although I do eat seafood almost anywhere. Does emdabem belong in this group? Does jdsburner1981 belong in this group? Love anything Organic I live in an area where I can easily access delicious organic fruit and veg… I feel blessed to have this privilege. Does earthfairness belong in this group? Does lolicat belong in this group? Does ponpidopoo3 belong in this group? Organic rocks! I prefer to eat organic whenever possible. Does warrioro belong in this group? Does indigoravena belong in this group?